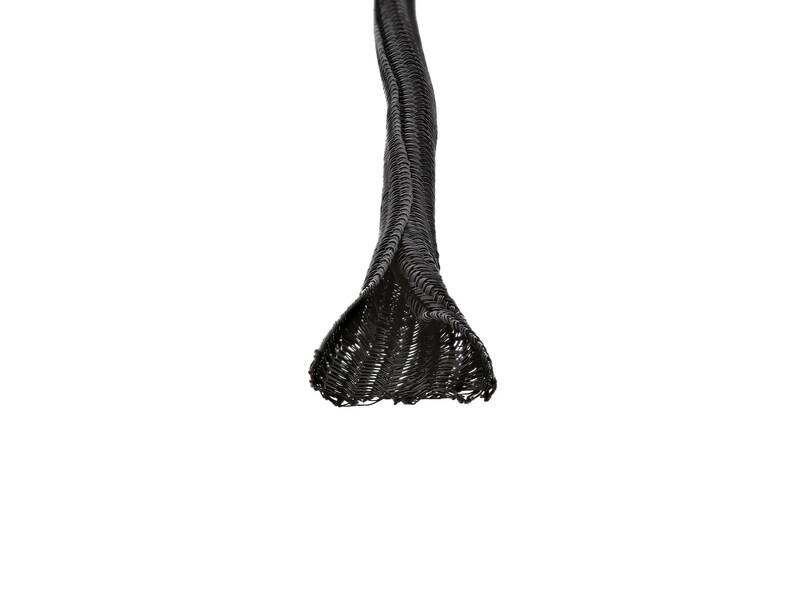 Secure™ 1/4 Inch Self Closing Braided Wrap 100FT - Black offer a simple and unique solution for bundling and organizing cables in a hassle free, efficient way. 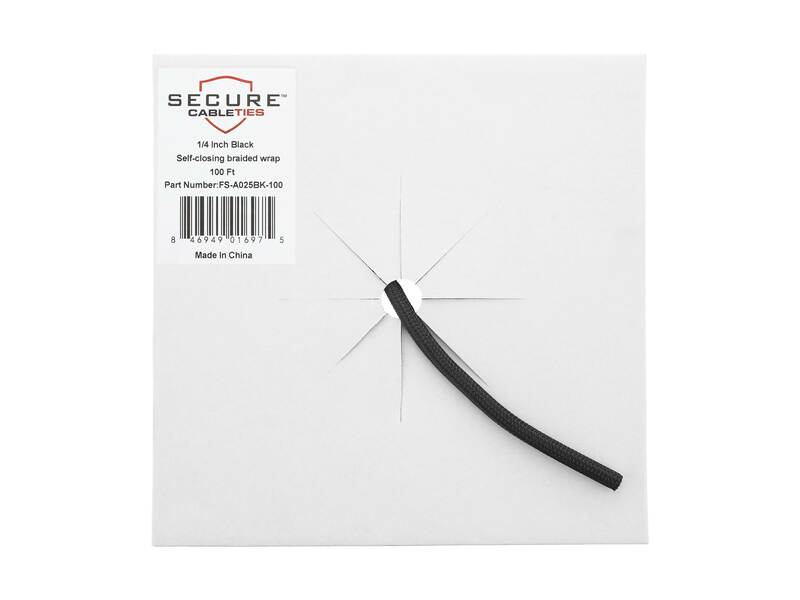 Braided wraps feature a self-closing lateral split and semi-rigid braided construction making installation easy and quick, without the need for additional fasteners. Combined with cable glands, braided wraps offer ideal protection by fully enclosing the cables and sealing the enter and exit points. The 25% overlap allow for additional coverage while maintaining flexibility without separating or contorting the braid.